EwingCole FTW – 4 CANstruction Awards! 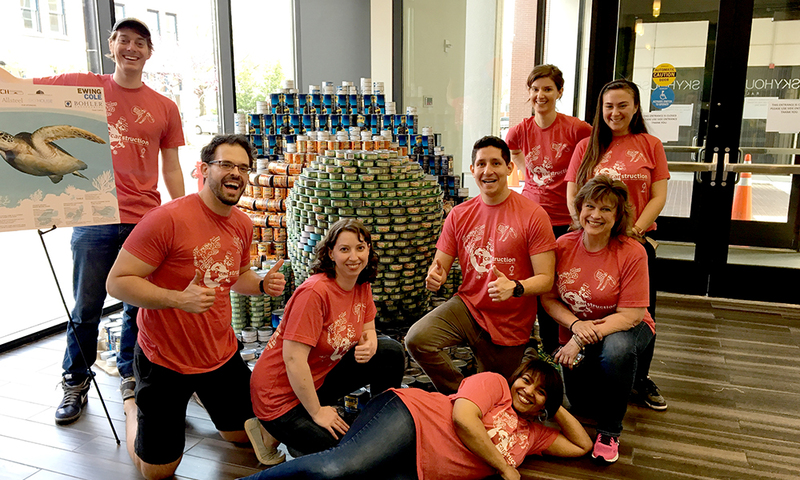 EwingCole’s Raleigh Office teamed with Bohler Engineering to participate in the 2018 World Conservation Canstruction Competition. The event’s conservation theme raises awareness and encourages preservation of our world resources, especially those that support the protection and growth of Earth’s food supply. EwingCole received 4 awards – People’s Choice, Best Poster, Best Team and Best Design for the Theme – with their design of a Sea Turtle. The sculpture consists of 4,000+ cans that will ultimately be donated to the Food Bank of North Carolina.